Heating Contractor | Furnace Contractor | Clarksburg & Bridgeport, WV | Climatrol Inc. If your furnace is failing to produce enough heat, has stopped working, or is not maintaining a comfortable temperature for your home or business, contact Climatrol for an inspection today. We are licensed and insured to provide professional repair work for all major brands and models of broken furnaces and heating systems in disrepair. Our technicians are able to promptly determine the cause of your issue, and whether your system requires repair, or complete replacement of the unit. 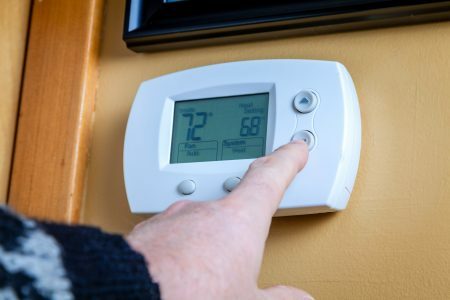 One of the most common signs that your furnace or boiler is beginning to fail is a dramatic increase in your energy bill in a short period of time. When your furnace has to work harder than usual to keep your home or business warm, it may be time to consider an investment in one of York or Lennox’s extraordinarily energy efficient models. If your furnace has been in operation for more than 20 years, it will begin to show signs of inefficient operation and failure. In many cases, poor quality furnaces may begin to fail as early as 10 years after installation. Property and homeowners in Clarksburg, Bridgeport, and throughout the surrounding areas have relied on Climatrol to provide exceptional products and services that can be relied on for the long haul. You deserve a heating solution that you can depend on. We have all of your cool weather climate control needs covered. To schedule a free no obligation estimate, installation, or repair service with our heating specialist, contact us at: (304) 623-0606.